New Year’s Special on Finally Free! 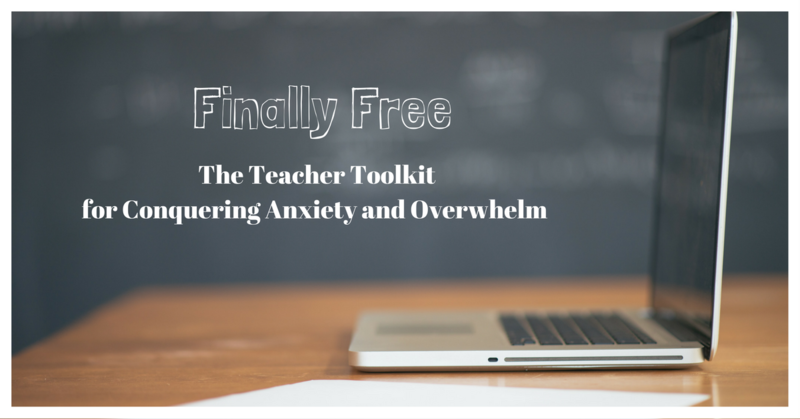 Finally Free: The Teacher Toolkit for Conquering Anxiety and Overwhelm is the 10 lesson audio course I co-created with Angela Watson of the 40 Hour Workweek Club. And I’d like to extend a New Year’s Special to you: If you purchase Finally Free, you will receive my online course Self-Care 101: Finding Time, Creating Space, and Embracing Renewal (regular $59) absolutely FREE! However, this is a limited time offer as the promo code expires at midnight on January 31, 2018. You’ll find the promo code on the Finally Free “thank you” page when you check out, and when you apply it to enrollment in Self-Care 101, you’ll be enrolled in BOTH courses for the price of one! Happy 2018! So check out Finally Free and see what you think. Some of the lessons Finally Free includes are Freedom from Overwhelm, Freedom from Perfectionism, and Freedom from Busy-ness. You can preview lesson number one, Freedom From Comparison, straight from the enrollment page. Finally Free is not about having another thing to do that you fall behind on. It’s about a change in mindset. It’s about listening to the lesson you need WHEN you need it. Put another way, Angela and I want to be the supportive voice whispering in your ear telling you that everything is going to be okay. So I hope you’ll think about becoming Finally Free from anxiety and overwhelm during the second half of this school year. But remember, this special offer is only good until midnight on January 31, 2018. We’re very proud of this course and know you will love it! Please let me know if you have any questions, and thanks for all you do for your students. *We now return you to your regularly scheduled Zen Teacher Blog. . .